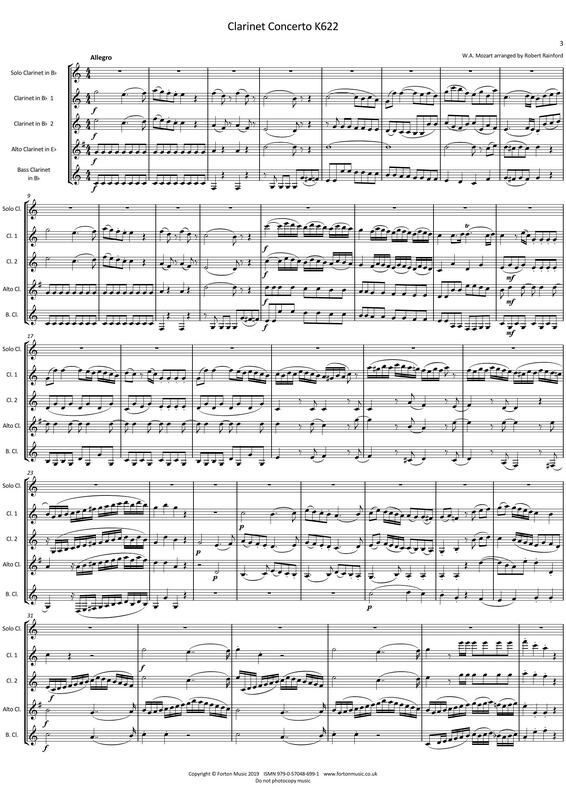 Mozart wrote this concerto in 1791 for the clarinettist Anton Stadler, and it has since gone on to become the best known concerto for the instrument. 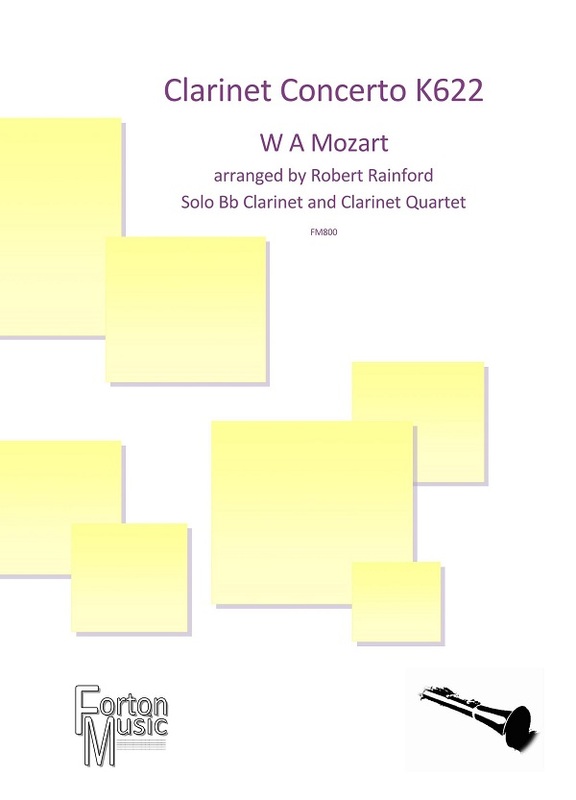 There is some debate as to which type of clarinet Mozart intended to be used, as Stadler was also a virtuoso basset horn player. 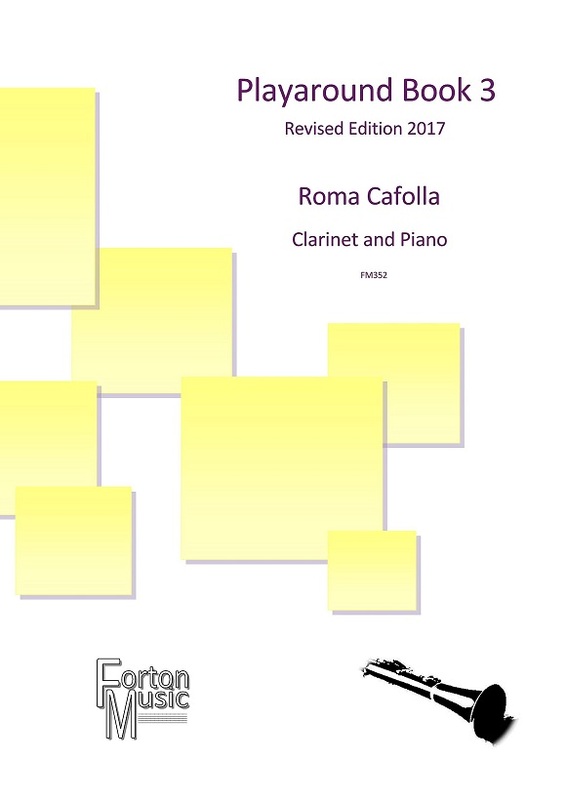 He also experimented with extending the range of the instrument down to written low C. Unfortunately, the original manuscript is now lost, and various attempts have been made to discern the original format of the piece. 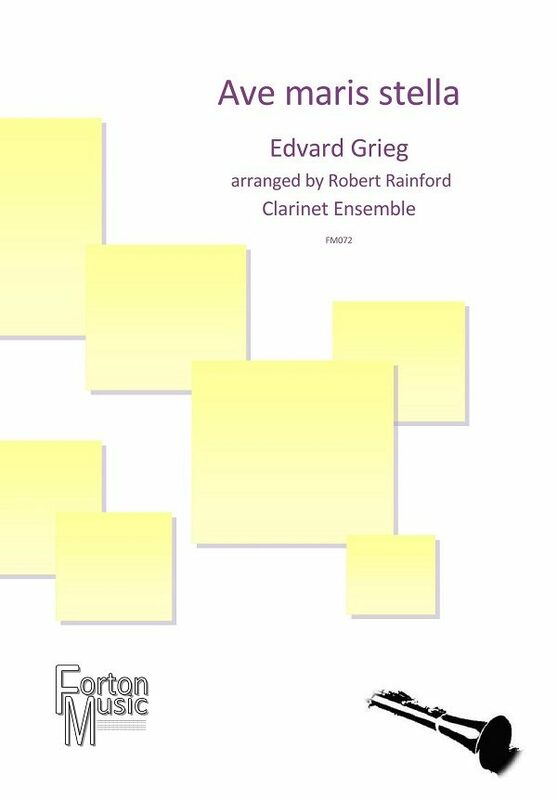 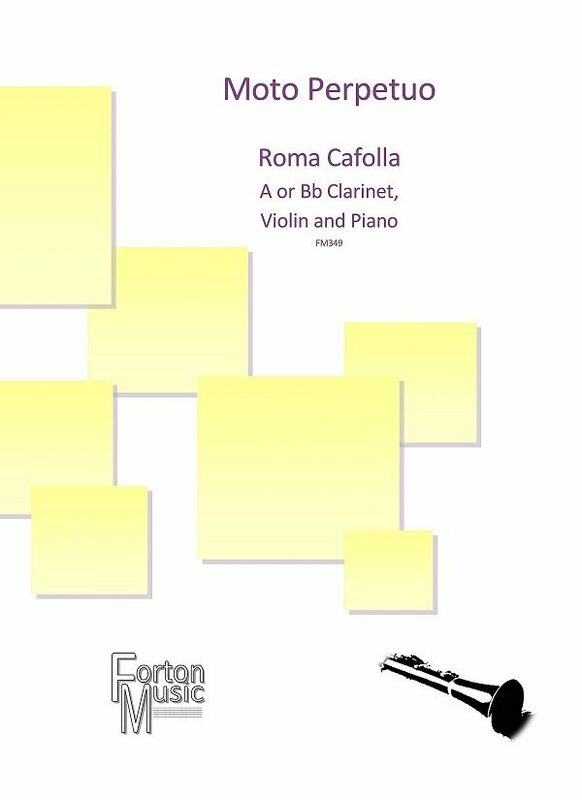 This version has been scored for solo clarinet in Bb, 2 clarinets in Bb, alto clarinet in Eb (or clarinet 3 in Bb) and bass clarinet in Bb. The solo part is unchanged from the urtext. 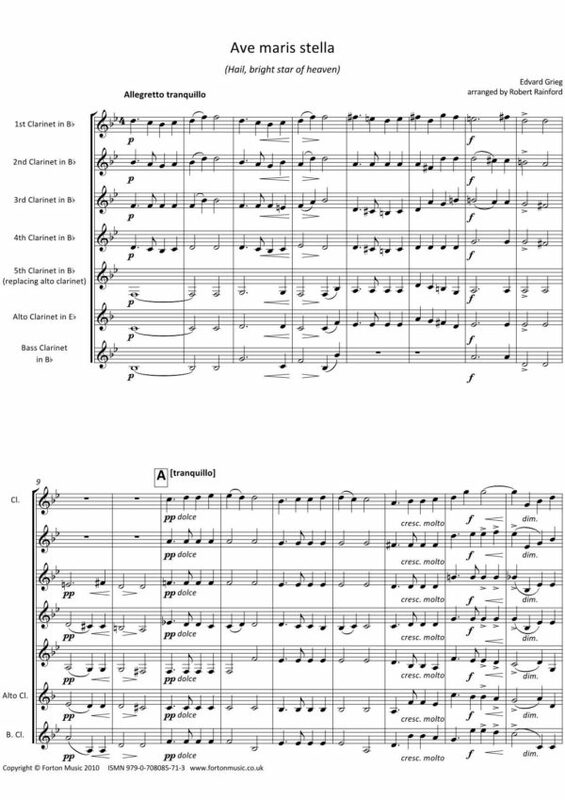 All phrasing and dynamics are editorial, and may be altered as desired. 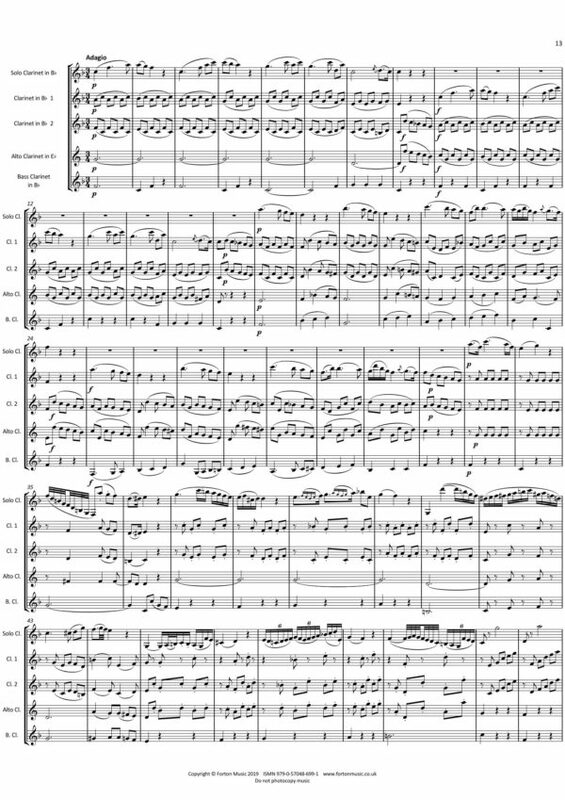 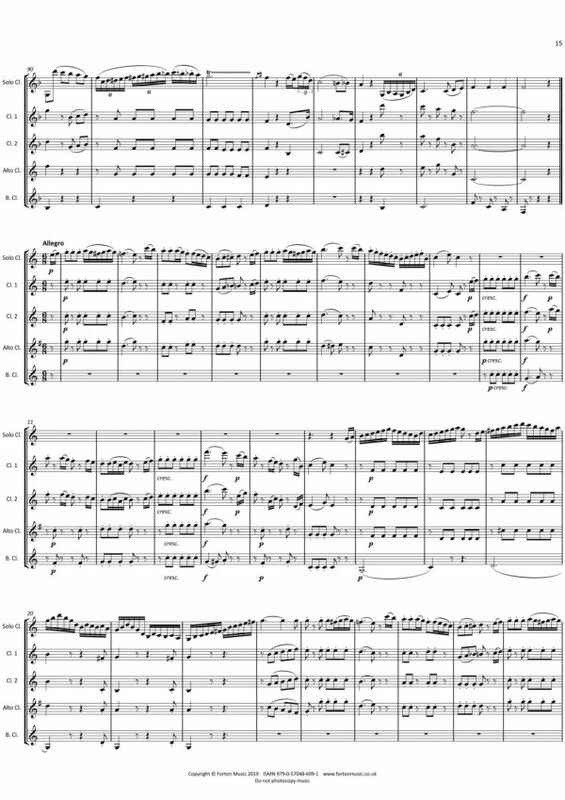 Apart from this, this is a full and faithful arrangement of the entire concerto with the aim of introducing players to an ensemble situation before launching into the full orchestral version.